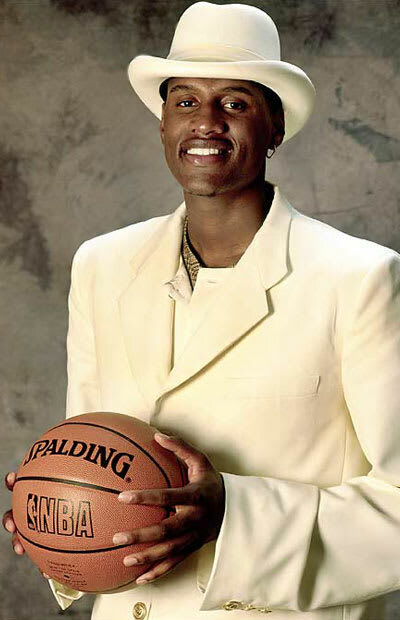 If being selected 9th overall by the Mavericks in what could go down as the greatest draft of all time wasn't enough, Samaki Walker secured his place in history with this get up. Walker would go on to play 11 underwhelming seasons in the NBA after his stint at Louisville and we can only hope at some point he crossed paths with a proper stylist. Or maybe that's why Kobe punched him in the eye six years later?